We have been making pots together since 1973 and began to realise our ambition of re-locating to a quiet country town in 1996 when we moved from Johannesburg where we were living and had our studio, to Swellendam in rural Western Cape, South Africa about 220km east of Cape Town, on the N2 national road, and halfway between Cape Town and The Garden Route. Our move to Swellendam in 1996 was a natural extension of our life together. The search for a quiet country town close to the mountains and the sea but not too far from a big centre had been going on for many years. The environment in which we now live is reflected in our new work which has benefited from technical innovations – such as the move from a gas to an oil-fired kiln allowing us to introduce subtle and exciting effects – and which has benefited from our new life-style. Our life together has always involved the care of James, Felicity’s oldest son who was injured in a motor accident as a child. He has grown into an endearing and attractive person and his dependence on us has dictated a way of life which we have been able to combine with the work of a studio pottery at home. Here in Swellendam we have a developing garden of flowers and vegetables in which we grow much of our own produce. The rhythm of James’ needs, of the making and firing of pots, and tending the garden, are part of a life cycle whose integrity we trust, is reflected in our work. Swellendam is located at the foot of a dramatic mountain range, the Langeberg, (long mountains) that bring abundant rain to the region. The excellent climate and lush vegetation made the region home to the earliest human inhabitants of the continent – the San and Khoi peoples – and later to European settlers who constructed the third oldest of South Africa’s magisterial districts. It remains a wonderful pastoral setting for people, plants and animals. Our pursuit as full time Studio Potters has been so rich and rewarding, and we have so much to be thankful for. We have had the distinct advantage to be able to work at home while at the same time being able to care for James, and find ourselves through our work to be connected to so many and so much, through such an essential and timeless tradition”. The making of pottery is a timeless occupation and the best of pots through the ages have a quality of timelessness about them that transcends chronological and cultural boundaries. Pottery is an art form with its roots in science. Pottery is one of the most primitive and universal expressions of human industry and, at the same time, a highly advanced and scientifically based art form. It is in our material – we transform malleable clay into a hard ceramic. The multiplicity of uses and applications that our products have. The way in which pottery is functional and symbolic, and thus integrated into the domestic rigours of daily life and in the sacred rituals of religious life. The infinite variety of forms in which our work is rendered. The range of technical variation, giving possibilities of expression equal to all the variants of the other expressive arts. Makers of pottery are part of a continuum from man’s earliest experiences with fired clay to classical concerns with the perfection of form in the quest for truth and beauty and so often charged with emotion, being concerned with issues of timeless design and enduring quality which only the hands and the caring mind can produce. A sacred tribute to civilisation! Ancient techniques of firing are upgraded by the use of paraffin (kerosene), high specification burners and a kiln lined with a modern ceramic fibre. In the bisque firing, pots are first fired to 1 000°C, after which they are glazed and decorated and then fired again to 1 320°C in a reduction atmosphere. This reduction technique is applied to both stoneware and porcelain in order to extract the best possible texture and colour response from the natural materials in the clay and the glazes. 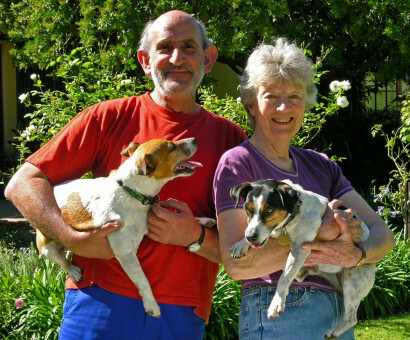 David and Felicity have specialised in reduction firing for well over 40 years. The techniques of high-fired porcelain and stoneware have come to us from the Orient and were, until the 18th Century, a mystery to European potters. “When high temperature applications were eventually developed in Europe, they were confined to industrial potteries and, not until the work of Bernard Leach in the early 20th century, was the Oriental tradition made available to studio potters like us”. In a reduction firing, the oxygen supply to the kiln chamber is restricted, resulting in a saturation of free carbons in the kiln atmosphere, mostly in the form of carbon dioxide and carbon monoxide. 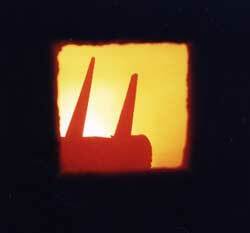 In a strong reduction firing, flames will lick out of the flue and through other openings or cracks in the kiln walls. Felicity’s brushwork techniques and patterns come from her background in watercolour painting and fabric design. She applies her brush decoration, to the dry, unfired glaze, using various combinations of iron oxide, cobalt oxide, rutile and copper oxide, as well as a range of glazes used as a decorating medium – all of which are the result of their own extensive and ongoing experimentation, testing and blending at the studio, using mostly locally sourced raw materials including ash from various trees and straw. The decorative motifs are drawn from a diversity of sources that are combined to very striking effect. They include abstract forms and images, those drawn from the natural environment of the African landscape including flowers, birds and fish, and those inspired by local and ethnic art. 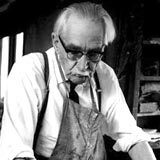 Bernard Howell Leach, CH, CBE, was a British studio potter and art teacher. 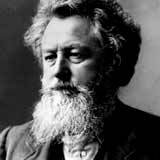 He is regarded as the “Father of British studio pottery”. Born: January 5, 1887, Hong Kong Died: May 6, 1979, St Ives, United Kingdom. 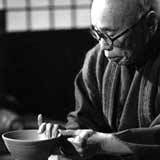 Shōji Hamada was a Japanese potter. 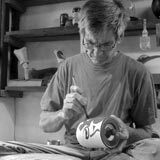 He was a significant influence on studio pottery of the twentieth century, and a major figure of the mingei folk-art movement, establishing the town of Mashiko as a world-renowned pottery centre. 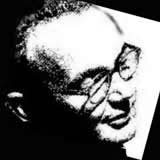 Born: December 9, 1894, Tokyo, Japan. Died: January 5, 1978, Mashiko, Tochigi Prefecture, Japan. After WW2, Helen de Leeuw went to England with her daughter Marieke to further her literary studies; however she gave up her PhD course at London University and enrolled at the Camberwell College of Art to become a potter. Returning to South Africa, she opened a pottery studio. Norman Herber from Greatermans Stores in the Johannesburg city centre offered her an empty basement which he would convert into a temporary studio, complete with kiln, provided she would give public pottery demonstrations there. Helen de Leeuw soon expanded and created The Craftman’s Market at 52 von Brandis Street, showcasing as “Helen de Leeuw Gallery” the work of many artists such as Edoardo Villa and students from the Polly Street Art Centre (1954) then run by Cecil Skotnes whom she had met through her brother-in-law, Gideon Uys, former Polly Street art instructor. Johannes Meintjes had an exhibition there in May, 1958, showing 34 paintings. At about that time Felicity Potter worked for Helen at the Craftman’s Market in Greatermans downtown. 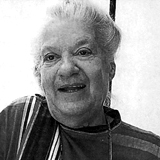 From 1960 to 1966 and beyond, Helen de Leeuw operated the Helen de Leeuw Gallery in Pretoria, after 1969 she moved to the new Hyde Park Shopping Centre. 1941 – 1990. An extraordinary person, a great potter and artist, a unique mentor and friend. 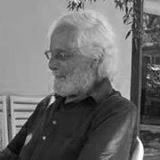 There is a pdf version of the article titled Tim Morris Remembered which is attached to the page Some Articles which was originally published to coincide with his retrospective exhibition held in Johannesburg in the spring of 2008. 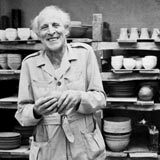 Hyme Rabinowitz, internationally renowned ceramicist and potter, died at his Constantia home on 15 February at the age of 88. Born in Namaqualand in 1920, Hyme and his twin brother Sol grew up in Port Nolloth. He attended SACS School and subsequently became a chartered accountant. But his preference was pottery, which he began doing part-time in the early ’50s, setting up his full-time workshop a few years later at Eagle’s Nest farm in Constantia. 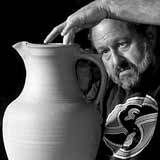 Michael Cardew, OBE, was an English studio potter who worked in West Africa for twenty years. Born: 1901, Wimbledon, London, United Kingdom. Died: February 11, 1983, Truro, United Kingdom. Michael Casson OBE born in London, was an English studio potter, referred to as “respected and charismatic”. Born: April 2, 1925, London, United Kingdom. Died: December 12, 2003, Upton Bishop, United Kingdom. ” The work I make now is based upon historical precedent. It is functional even if only occasionally used as such. Like Michael Cardew I believe that the understanding of the materials and processes the potter uses are not separate from the expression made with them. How and why are equally important and they move together as one “. 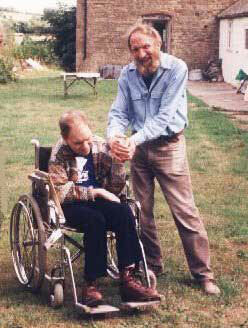 James Potter with Michael Casson at Wobage Farm, UK – 1991. David and Margaret Frith set up their first workshop in Denbigh 1963. They moved to The Brookhouse Pottery and Malt House Gallery in 1976, an 18th. century woollen mill which was later used as a brewery hence its name. The mill is situated on the banks of the river Ystrad, on the outskirts of the market town of Denbigh, in the beautiful Vale of Clwyd in North Wales. He was born in England in 1939. 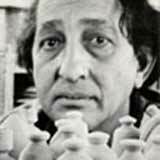 He trained in pottery and ceramics at the Croydon College of Art from 1956 to 1961. In 1968 he immigrated to Canada. He spent the first two years teaching at the Toronto Central Technical School. Robin Hopper has both a functional and a decorative side to his production of pottery and ceramic works. His functional works are produced on an artisan basis. 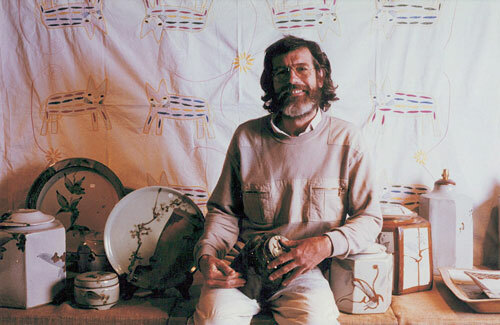 Sammy and Mary Liebermann were early pioneers of the studio pottery environment in South Africa and established Liebermann Pottery in Johannesburg in 1956 following generally in the Bernard Leach / Shoji Hamada tradition with an extensive range of traditional handmade cottage tableware, dinnerware and ceramic picture tiles. Andrew Walford is one of the few potters who digs his own stoneware clay and meticulously prepares it to his own high standard. Working in the Japanese tradition with thick chun glazes sifted by hand from wood ash, colours of rich resonant tenmokus, fatty whites and shades of celadon, he then decorates the pots with specially imported Japanese brushes.The kiln which he designed and built himself is fired about eight times a year with paraffin oil to a temperature of 1380 degrees Celsius. Before Meshack enrolled at the Technikon he worked in the Ceramic Industry as a Manager involved in the designing and manufacturing of ceramics within industry. He worked his way through the system starting as a sweeper in a small ceramic studio business. He has been invited over the years to give workshops at various festivals and conferences. 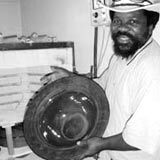 He has also gained experience by working with the top potters in this country in their studios throughout South Africa. He is recognized for his expertise in the throwing of porcelain clay and is considered to be one of the best potters this country has to offer. All this expertise has been brought into a learning environment where Meshack has become a mentor and roll model for many a student and persons within his community. He is a born teacher and has the patience to deal with young people who are at a very vulnerable stage in their life. We have a reputation within our Art Faculty concerning weak students. 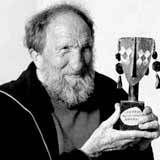 Joe was a ceramic artist who has built studios for handicapped children, travelled to China, invented glaze recipes, engineered tiles for brick companies, and designed murals for churches and big business premises. His work changed from handthrown, salt-glazed forms in the beginning of his career, through large-scale murals and raku sculptures, to his last exhibition of a series of boer war images on flat surfaces – kiln bats. 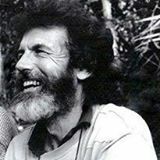 He owes inspiration for the work to his grandfather, Fred Trezona, whose photographs featured largely in the exhibition. 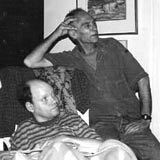 James Potter with Joe Faragher potter and artist. Much of our inspiration is drawn from our predecessors in the Anglo-Oriental Tradition of high-temperature, reduction-fired pots and this tradition is flourishing in an African context where the link between function and aesthetics retains its harmony and takes on a new meaning from the physical landscape of Africa as well as local and ethnic art and craft. We have exhibited our work widely, and continue, and also undertake special commissions and orders. The Egyptians are credited with the first use of the potter’s wheel in about 3,000 BC. The most sophisticated of contemporary thrown work thus relies on a primitive form of technology that has been in continuous use for five thousand years. Although wheels are driven largely by electricity today, the search for a harmony of form and function is as compelling as it was to the men who created the ancient Minoan jars or ‘red and black’ figured urns of classical Athens. David’s throwing was originally influenced by his teacher, Tim Morris, who was trained in the Anglo-Oriental tradition. The challenge of throwing to meet practical requirements for domestic use has provided a discipline for over 40 years that remains vitally important. To this discipline is added the aesthetic challenge of making objects with a balance and proportion of form that allow them to take their place in an art collection, corporate headquarters or garden landscape, as happily as on a dinner table. David uses the same wheel to create small, refined pieces of porcelain; and by building up, in sections, giant stoneware urns that stand some 1.2m tall and weigh up to 90kg or more. These large pots – in their stature and strength of form – manifest in their own way the refinement found in the smallest porcelain pieces. 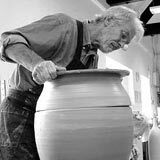 Inspirational sources for David’s current work include Egyptian and Greek funerary urns, Mediterranean (Minoan) grain, wine, oil and olive jars from the Classical period, Oriental high-fired pottery, Mediaeval Pottery, 20th Century English studio pottery, and traditional African coil pots. Thank you for spending time on our About Us pages.